Won’t You Be My Neighbor?, the acclaimed documentary from Morgan Neville (the Oscar-winning “20 Feet from Stardom”), will air this Saturday, 8-9:35 p.m. throughout the Tennessee Valley on WTCI-PBS. This national PBS broadcast of the Independent Lens film will coincide with the HBO debut. One of the most celebrated theatrical releases of 2018, Won’t You Be My Neighbor? 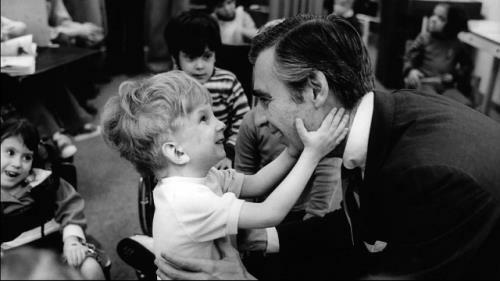 takes an intimate look at America’s favorite neighbor: Fred Rogers. The documentary tells the story of a soft-spoken minister, puppeteer, writer and producer whose show was beamed daily into homes across America for more than 30 years. In his beloved television program, “Mister Rogers’ Neighborhood,” Mr. Rogers and his cast of puppets and friends spoke directly to young children about some of life’s weightiest issues in a simple, direct fashion. There hadn’t been anything like Mr. Rogers on television before, and there hasn’t been since. Since its world premiere at the Sundance Film Festival in Jan. 2018, the film has become the top-grossing biographical documentary of all time, earning more than $22 million at the domestic box office. It received three Documentary Critic’s Choice Awards, including Best Documentary, Best Director and Best Editing, as well as the Audience Award at the IFP Gotham Awards. Mr. Neville’s film is also nominated for the IDA Documentary Award for Best Documentary, five Cinema Eye Honors, including Best Documentary, the Producers Guild of America award for Best Documentary Motion Picture and the Film Independent Spirit Award for Best Documentary.